Fitbit Alta HR vs Charge 3 – What are difference between fitbit alta with charge 3? Fitbit Alta HR and Fitbit Charge 3 are the two renowned heart rate trackers that help you reach your goal. Take a look at Fitbit Alta HR vs Charge 3 comparison. Automatic sport recognition	 Fitbit charge 3 features automatic sport recognition. Fitbit Alta HR also feature automatic sport feature. WATER RESISTANCE	 It is waterproof up to 50 meters. Alta hr is not swimming proof and nor does it records your swim. FLOORS CLIMBED	 Charge 3 fitness tracker measures the floors climbed. This feature is not available in many fitness trackers available on the market. It does not measure floors climbed. With charge 3, one can accept and reject calls. It displays caller ID and message notifications. REMINDER TO MOVE	 Fitbit charge 3 has a reminder to move mode. Alta hr also has the reminder to move feature that works really well. It has an aluminum body that makes it lighter. Its display screen is smaller than charge 3. Charge 3 is 18.325 mm wide. The Fitbit Alta hr has an elastomer band with an OLED display of 1.4 inches. The dimension of this watch is 1.6 x 1.3 inches with a weight of 0.8 ounces. SLEEP TRACKING	 It improves the quality of sleep and also wakes you up with a silent vibration. Just like charge 3, Alta hr also records the sleep stages while you are asleep. As we know from the above mentioned Fitbit Charge 3 vs Alta HR comparison, both fitness trackers have the ability to measure continuous heart rate that will prove beneficial for all the people who want to keep a continuous tab on their heart rate and all thanks to the PurePulse technology. This tracking is based on the pulse in your wrist. When we talk about heart rate tracking, both fitness trackers do their best to provide you with the correct information. So, basically with these two watches, you know how well your heart is functioning. 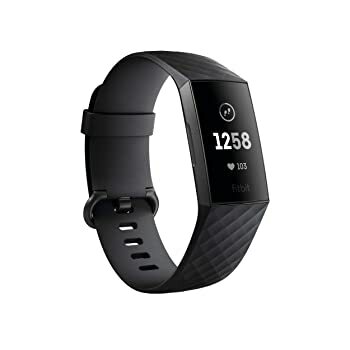 Besides tracking the heart rate, the Fitbit charge 3 and Fitbit Alta Hr also capable of keeping a tab on other activities such as calories burned, steps taken, active minutes, and distance covered. Apart from tracking these activities, both fitness trackers have a SmartTrack and multi-sport tracking feature. This feature has extended the capability of Fitbit Charge 3 and Fitbit Alta HR of tracking running, walking, jogging. Moreover, both heart rate trackers have a built-in sensor that has the ability to detect your activities such as playing football, dancing, or even your workouts from the Fitbit app. Another similarity between Alta HR and Charge 3 is the quality of tracking sleep. Apart from keeping a tab on all day activities, both fitness watches have a sleep tracking features that work really well. Both fitness trackers keep a tab on the sleep stages, which means it tracks how much time you spent on what sleeping stage such as REM, Light, deep, and it also tracks how much time you stay awake. In short, Fitbit Charge 3 and Alta HR work when you are asleep as well. This sleep tracking feature improves the quality of sleep. Another worth mentioning feature of both heart rate trackers is the reminder to move feature. Most of the time people forget to take the initiative to move forward towards their goal because of several reasons and one of the most noted reasons is that people sitting on a couch relaxing and enjoying their time and completely forgets that they need to move to reach their goal. This is when the reminder to move feature is really beneficial as it keeps reminding the users to take 250 steps each hour. So, with any of these fitness trackers, you do not need to remember or worry about your fitness goals. Being a reminder to move feature does not mean the watches will disturb you in any way as you have the liberty to adjust the reminder to move mode yourself according to your convenience and when you are really busy in meeting or any other work, then you can also switch it to ‘do not disturb’ mode. Another common feature between both heart rate trackers is the guided breathing session. The purpose of this function is to help you calm your mind and body. This feature is really helpful to regulate your breath and meanwhile reduces the anxiety, stress, and blood pressure. All in all, the guided breathing sessions help you remain calm and composed. The Fitbit Charge 3 and Alta HR vibrate when the alarm goes off. Moreover, both fitness trackers have a battery life of 7 days, which means you can wear it for as long as seven days with a single charge. Now that you are cognizant of the similarities between the Fitbit Charge 3 and Fitbit Alta HR, it is the time to know the dissimilarities that differentiate both heart rate trackers from each other. 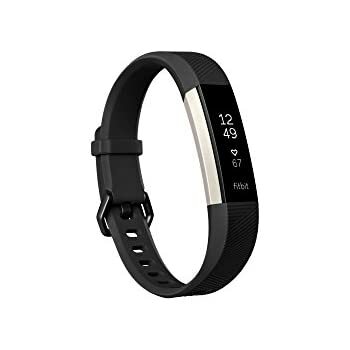 Fitbit Charge 3 has a lot more features than Alta HR that surely make it a better choice for all the people who are looking for an advanced and upgraded fitness tracker. Charge 3 keeps a tab on the swimming activity as it is waterproof and swim-proof up to 50 meters, while Alta HR is only good enough to bear the splashes as it is only water resistant, which means you can go out on rainy days for a walk, but it does not count the swims. With Charge 3, your swimming activity will be counted in an efficient manner. The Fitbit Charge 3 also tracks the floors climbed, we all know that climbing floors need extra efforts and people want this activity to be tracked. Alta HR lacks this feature. Another feature that makes Charge 3 fitness tracker stands apart is the female fitness tracking feature. The female health tracking feature gives you a detailed chart of the cycle, tracks period, and also provide information about ovulation. You can also get information and tips about your health from Fitbit community support. Charge 3 has a touchscreen that makes it easier for the user to adjust it. All the fitness enthusiasts who want to have an advanced fitness tracker with a touch screen prefer to have it. Plus, Charge 3 has a large display as compared to the Alta HR. The Fitbit Alta HR can only display Smartphone notifications such as calls and texts, whereas Charge 3 not only display Smartphone notifications but also allow you to reply to the texts and emails. It also provides weather updates as well as calendar updates to keep you informed about the upcoming event. Charge 3 gets an upper hand as it has a connected GPS facility that opens the door for many other facilities that you can’t get with the Fitbit Alta HR. The connected GPS delivers a map of your route during the runs or walk. It also provides real-time pace and distance. With the Fitbit Charge 3, you will get app notifications, whereas Alta HR does not have it feature. The Charge 3 also equipped with the SPO2 sensor that detects the oxygen in your blood. This indicates two important things; how well the blood is transported to the body and how athletic the person is. 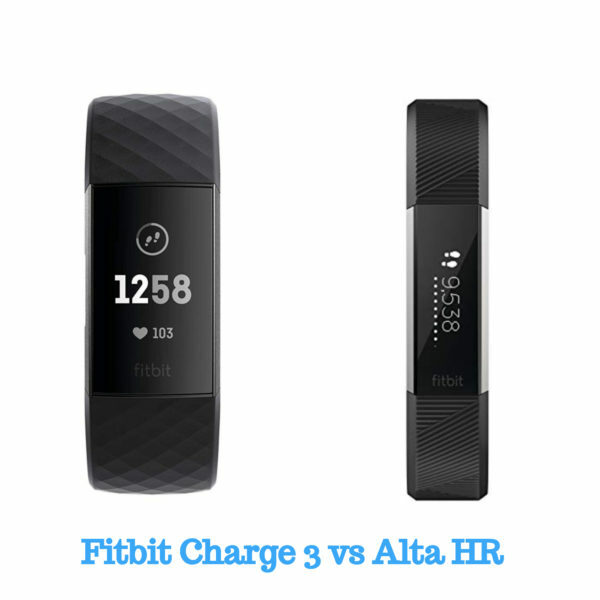 As you have seen the Fitbit Charge 3 vs Alta HR comparison and the similarities and dissimilarities, you know what features you really need and what you don’t. If you want an advanced fitness trackers having more features and a touchscreen, then Charge 3 is perfect for you. Otherwise, you can pick Alta HR.